Our complete diamond solutions include premium, regular, gauge stones, grit, rotary, longs, natural drills, toolstones, carbonados and micron. The best shapes and the lightest colours are selected from original mined diamond to be the starting material for our Premium product. 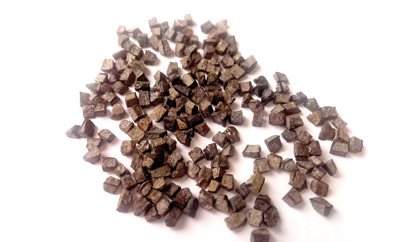 Mechanically and chemically processed to improve the initial shape and remove weak stones, the resultant product exhibits the characteristics of strength and uniformity. The regular shape of P quality guarantees an even wear pattern on the stones and thus ensures uniform penetration and maximum life. 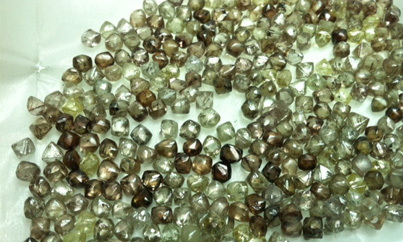 Dark colours and round shapes are selected from original mined diamond as the starting material for our Regular quality. Subjected to a mechanical process designed to enhance the shape and remove weak stones, the resultant material is thus free of seriously flawed particles. Blocky angular Boart provides the base for this gauge material. This material is mechanically treated in-house to remove brittle stones and thus increase the overall strength. This product was designed for use as a gauge keeper in a variety of bit types and sizes. In maintaining the gauge size the inherent characteristics of shape and toughness are utilised to greatest advantage. 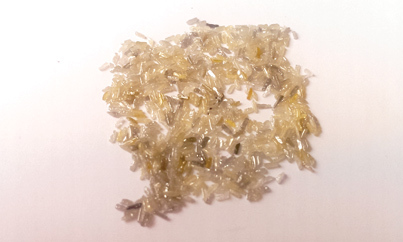 Our Natural Grit is made by selecting the best qualities and shapes from our in-house crushing of Natural Boart. We supply Grit with sharp irregular cutting edges for those applications that require high-speed cutting. 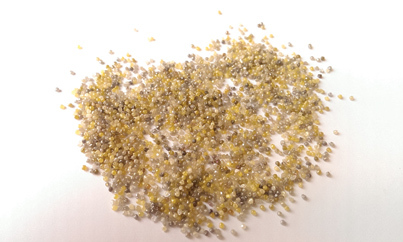 We also offer a Processed Grit that has been mechanically processed to enhance strength and uniformity. We provide a slight rounding (5-15%) to improve the impact strength and a more severe tumbling (15-30%) for those applications that require a strict uniform surface shape. For applications that require superior surface cleanliness we have developed in-house chemical processes that remove all surface contaminations. The best-quality natural diamonds are shape-selected, mechanically rounded and chemically polished using our in-house propriety processes to produce a Rotary material with a controlled radius and uniform shape. 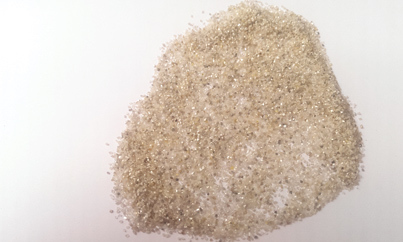 They are suitable for electroplated and infiltrated bond systems that utilise hand-set diamonds. 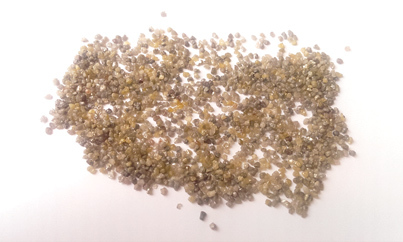 Sizes range in stones per carat from 100spc to 250spc. Suitable long shapes are selected from mined Boart as the base material for processed longs. Stressed both mechanically and chemically, the resultant product exhibits the characteristics of strength and uniformity of shape. Sizes range in stones per carat from 5spc to 60spc. 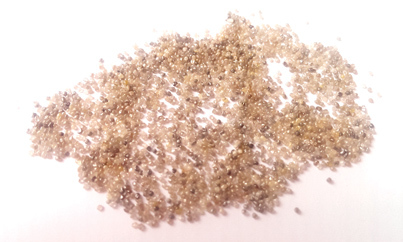 The best-quality natural Brown Drill diamonds are carefully selected to eliminate significantly flawed stones. The characteristics of dodecahedral and full round shape combine to form a high-quality material designed for drilling the most demanding formations. 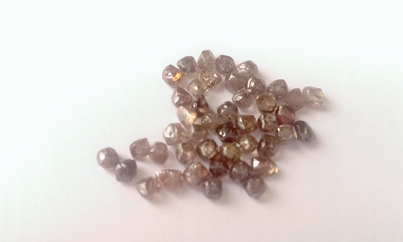 Sizes range in stones per carat from 10spc to 40spc. We have developed a range of products to cover a broad spectrum of uses to match the varied demands of today’s Toolstone business. 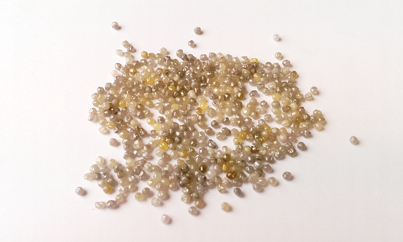 From single point Toolstones for diamond dressers to more complex designs we have qualities to match all settings. Individually selected on the basis of quality, internal geometry and shape, our classifications encompass a variety of specialised types. 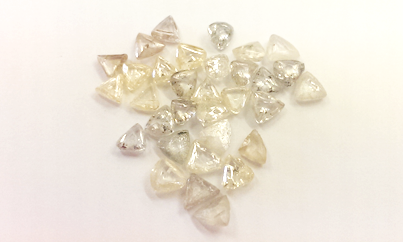 Sizes range in stones per carat from 1spc to 10spc. 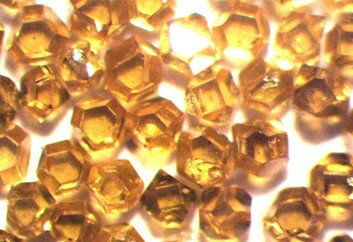 Twelve sided dodecahedron stones available for use in the diamond tool industry. Selections based on price/requirements available on request. It is there high toughness which leads to their use in demanding applications such as oilfield drilling. Sizes range from 10 C.P.S. to 15 S.P.C. 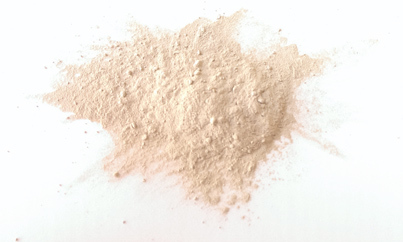 Natural Micron powder is processed into sizes through specialised crushing and milling techniques that produce sharp-edge, fast-cutting particles. All micron diamond sizes are tightly controlled and a P.S.D chart displaying the size distribution accompanies all material. Sizes range from 0 – ¼ microns to 50/70 microns. 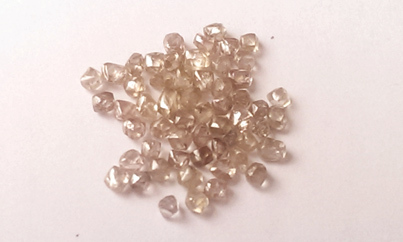 Please don’t hesitate to contact us if you have any specific requirements for natural diamond and we will help with your enquiry.